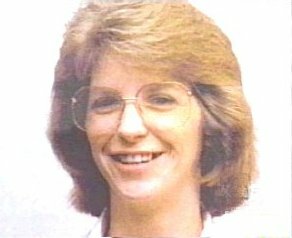 January 12, 1996 at 5:42 p.m. in Oklahoma at a convenience store, Anne Gouker, 35 year old mother, stopped to fill up her new red 1996 Camaro. She would not walk away. In a few hours she would be dead. This story is one of the most tragic of the many in the on-going auto refueling fire saga. Anne began refueling her car like anyone would do. She put the auto-latch on the nozzle and went around to the front of the car. She did not get back in the car. No-one knows if the first ignition was as she walked back to the nozzle or if there was a fire already in the fuel port area before she touched the nozzle. 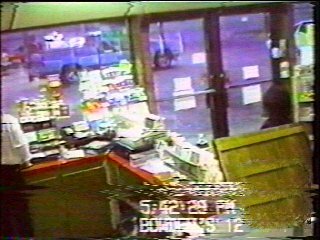 The surveillance video, grainy as it is, seems to show Anne going back to the nozzle area and a flash occurring. She seems to jump away from the fire and then go back to the nozzle probably to pull it out to save her new car. Reports state that Anne pulled the nozzle out by the hose probably because the nozzle was too hot to touch. When she pulled the hose and nozzle out of the car, it continued to pump gasoline at almost 10 gallons per minute all over the car and herself. The fire was like a scene out of "Back Draft." Anne tried to jump over the car but fell back into the flames. She laid there until the fire department pu t the fire out over 12 minutes later. Approximately 100 gallons of gasoline pumped into the inferno due to the lack of response by the convenience store personnel to stop the pumps. 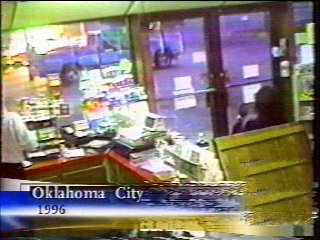 As the fire ignited, the store clerk ran from the store yelling, "get out of the store, get out of the store." She never hit the stop button (if one existed) and she never turned the pumps off by the shut off valve. She was obviously not trained. After several minutes a supervisor for the convenience store arrived and tried to shut off the pumps. They needed to use a "quarter" to shut the valve off probably due to a missing handle on the valve. These problems cost Anne Gouker her life. If Anne had been told to never pull the nozzle out of the car she would have lived. If the clerk had shut down the pumps, Anne probably would have lived. Anne's story has become the "Poster Story" for refueling fires. It is her video that has run on every major network to help alert the public to the dangers of refueling and static electricity. It is our hope that her death helps others from making the same mistakes. The mistakes can be so easily avoided by following a few rules. See "Unsafe-Act"